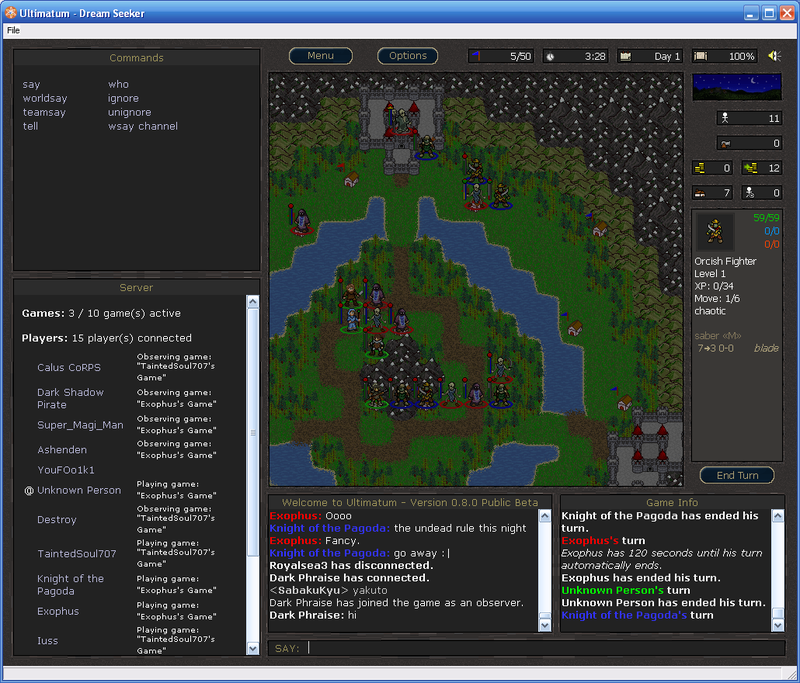 Welcome to Ultimatum, a free fantasy-themed turn-based strategy game inspired from the game Battle for Wesnoth. 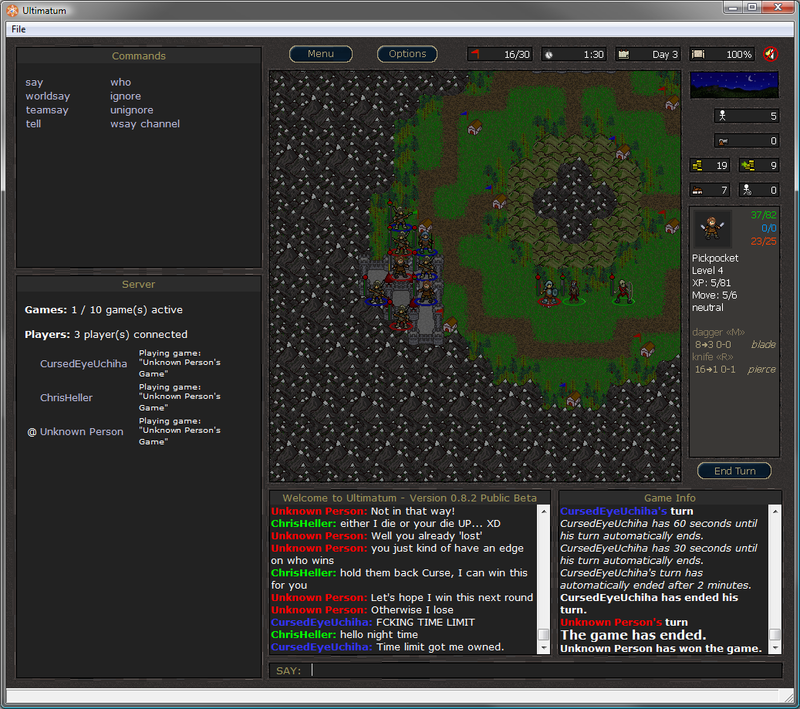 The game is currently in being hosted 24/7 on a dedicated SliceHost server. Enjoy! Special thanks to Karnlor for creating the hub graphics. An alternative skin for players running 1024x768 and find the Chat and Game Info box is too small has been made. The skin is still not compatible for any lower resolutions. ACWraith has also created an alternate skin for those who use even lower resolutions (get a bigger screen already!) which can be downloaded here. - In certain unknown circumstances, the game may lock out and not allow the current player to do anything except end his or her turn. Please report ASAP as this occurs during gameplay. 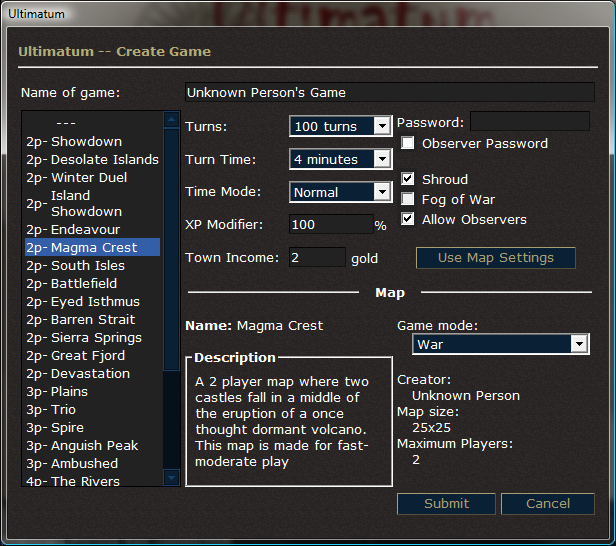 - Improved the interface panel graphics (made possible with the addition of tiled labels). You must upgrade BYOND to the version 454 and up. why dont anyone play this? It looks like it maybe the best strategy game on byond. IT NEEDS MOAR PLAYA'S DOOD!! I never thought i would play a game on byond other then anime. But when i played this i loved it!